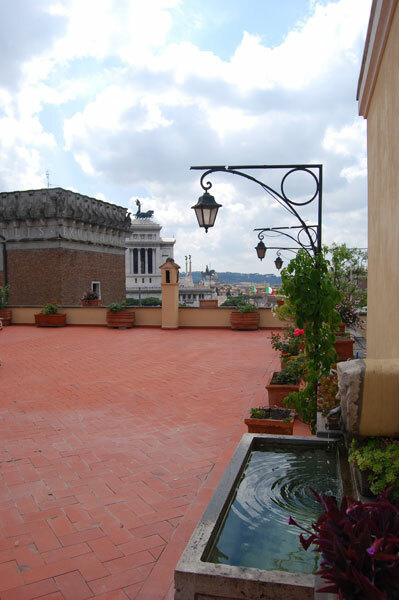 Though this is a rooftop in Rome, not Colorado, it inspired me for last week's new chapter that is going in my revision of Book 2. It shared enough of the elements and inspired the right mood for me. In this chapter my character comes face to face with one of her greatest fears. This chapter flowed onto the pages as fast as my pencil could write. I love it when that happens! Yesterday I finished reading Twenty-Eight and a Half Wishes by Denise Grover Swank and today I'm singing it's praises all over the internet with glowing reviews. This is a must read, and that's something I don't say very often. I laughed, I cried, I laughed so hard I cried. If you enjoy compelling characters, a good mystery, romance, and a touch of paranormal then you have to read this. It is one of the best books I have read so far this year, seriously. I'm already buying copies as gifts! Next up is Born To Be A Dragon by Eisley Jacobs, the first middle grade novel I've read in a long time. I've been looking forward to it so much! As for music, I'm loving the soundtrack to Sucker Punch. The entire soundtrack is by female artists who rock. Gotta love the girl power. ;) What inspired you last week? A great read, or great music perhaps? Today on the Tour Of Secrets I'm at author and good friend Krissi Dallas's blog giving away a secret about my main character. I hope you'll stop by not only to find out the secret and get more points for the giveaway but to meet Krissi. She is an amazing person who I'm honored to be friends with. Although I found it difficult to get into Sucker Punch, I really did love the soundtrack. That picture is beautiful and inspiring. A great place to come to grips with fear. Fight or flight (no question on that one for anyone who's read your characters!). I can't wait to get into Denise's book. It's waiting for me, thanks to your recommendation. Wow, blog tour is almost done! How are your sales? I hope good. I'm enjoying your book a lot. The power is just about to ooze out of my laptop, so I just wanted to say thanks for visiting and commenting on my blog. Gotta run! Isis, it is a great soundtrack! Odd movie though, I will agree. Linda, it is beautiful. I'm so excited that you ordered her book, you'll love it! Golden Eagle, I hope you like it! Roland, you're welcome! Thanks for stopping by. I love that you still have time to do these posts when you are in the middle of a blog tour! Glad you're having fun with revisions. Lisa, lol! It's tough, I won't lie. I'm looking up that first book right now. What a recommendation! Great picture. If I could, I would travel the world. Also, I'm a huge fan of girl power rock bands! Theresa, I loved it! I hope you do too! Elana, me too! Someday I'd love to travel the world. Thanks for stopping by hon! Sounds like a good read. I found you through the campaign. I look forward to reading more from you! That rooftop is fantastic, can see how it would inspire - congrats to you for grabbing the moonbeam - I'm hearing so many good things about 'Wishes" - it's on my list. And thanks for stopping by Heather. With all you've got to do you find the time. You're amazing! Oooh, love the pic - I so gotta get to Italy! I also have to check out that soundtrack - if there's one thing I LOVE it's ladies that rock. Girl Power, indeed!!! I actually got a "spark" over the weekend from, get this, a romantic dream I had when I rolled over to get a couple more minutes of sleep on Saturday! I headed to Starbuck's and wrote it down, not 100% sure if anything was going to come of it and then, BOOM! As I was heading to the Toronto Humane Society for my volunteer dog-walking, the story unfolded! And... Off to check out your guest post! Heather, this is beautiful! And very inspiring. Thank you so much for the recommendation of Denise's book. I ordered it, of course and looking forward to reading it! Now off to listen to sucker punch. My muse is going to be on the plane. 13 days... this will be a long one! Casey, it really was! And thanks, it's nice to meet you! Kittie, it's excellent, I think you'll love it. And you're welcome sweety! Michael, thanks! I just hit it today!!! Karlene, oh wow that's a long trip. Fly safe hon! That's a fantastic picture. I haven't gotten around to seeing Sucker Punch yet.